Is Residential Drug Rehabilitation Effective at all? When choosing a residential drug rehabilitation program, there are several different schools of thought when it comes to how different drug rehabilitation treatment view drug addiction and alcoholism. Some professionals in the field feel it is a disease. Essentially, these drug rehab professionals believe that drug addiction is a disease and that the individual will never fully recover. Still other residential drug rehabilitation programs consist of counseling, meetings, and support groups. 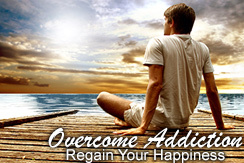 On the other hand, there are residential drug rehabilitation programs that base their philosophy on one's choices. They understand that people use drugs or alcohol as a means of happiness. A choice based drug rehab program believes that through understanding and changing the individual's patterns and underlying causes of their drug use, complete abstinence can be accomplished. These options are presented to in individual enrolled in a choice based residential drug rehabilitation program. For a choice based residential drug rehabilitation program, or freedom model, believes drug and alcohol use is a behavior and the individual who uses them is in complete control. It takes thought, choice, and physical action to ingest alcohol, smoke or shoot drugs. Even though there are different residential drug rehabilitation programs, only a choice based program teaches the individual the skills to handle life once they've completed the program. There is also a social component to a choice based residential drug rehabilitation program which allows the individual to integrate their new thought processes, life skills, and positive self image while in the program. Upon return home, they have already begun the process for change which will lead the individual to a successful, productive, drug use free life based on positive choices and a positive self image. For the individual seeking a residential drug rehabilitation program, the knowledge one learns through a choice based residential drug rehabilitation program should be their primary focus and must be incorporated into their everyday life. Successful programs believe that the ability for one to achieve a drug or alcohol free life is based on a belief that the individual is not a victim, and in fact, must take responsibility for his or her own actions. That is a why a choice based drug rehab is in fact, not considered rehabilitation. It is an education. A choice based program is unlike any other program. The program will enable the individual to determine the seriousness of their drug or alcohol use and help them to overcome the problem permanently by giving the tools to make sensible and well-informed decisions regarding their substance usage and life in general. The individual will learn how to let go of immature, instant gratification behavior, and the fleeting feeling of euphoria that drugs and alcohol provide for deferred gratification that will provide lasting contentment and happiness in life. Freedom Model's alternative to Residential Drug Rehabilitation Programs is 12 times more effective. Call Today.